The health care directive enables someone else to make medical decisions for you. This lets you make decisions about future issues you could experience before they occur in case you become unable to make them yourself. The first step is to think about what types of treatment you would or would not want in the future and then discuss these issues with family, friends, doctors, and perhaps clergy. If you do not appoint someone and use the directive to prescribe what treatment you want, an appointed representative together with physicians would attempt to make decisions according to your past treatment and what treatment the representative believes you would want. If the representative does not know what treatment you’d want, he or she would consider your values like how much you value independence vs. being alive at all costs, and otherwise, the parties would consider which treatment would minimize suffering, the quality of life under various treatments, and the prognosis for recovery under each treatment. For example, if you were injured and became permanently unconscious, you could specify that you would not want to remain on life support, or you could specify that you would want to remain on life support indefinitely. As you can see, determining which treatment to perform can be a complex issue involving many people’s input, and can sometimes lead to emotional conflicts and even heated courtroom showdowns. 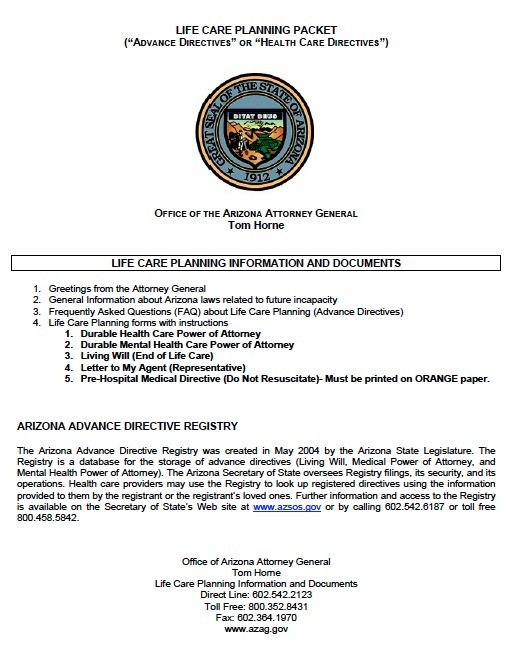 In order to avoid such turmoil among your friends and family, and to have your preferred treatment carried out, it is best to execute a health care directive.